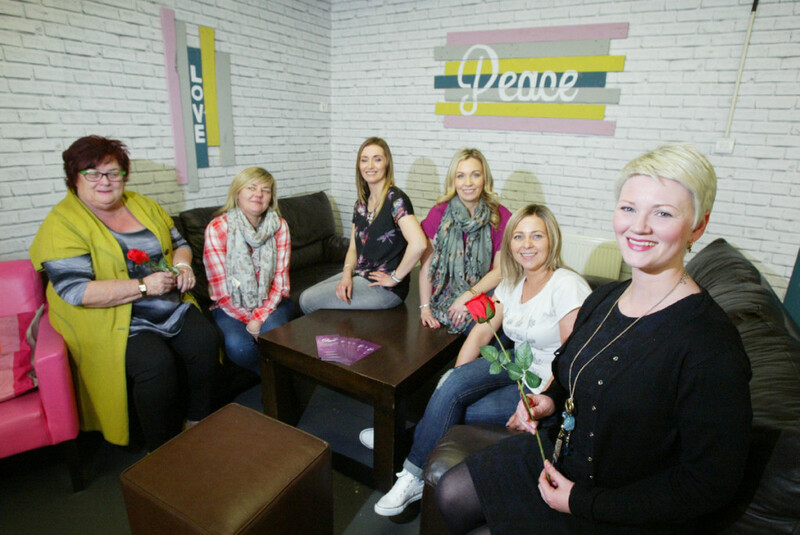 Women shoppers out and about in Belfast later this month will be in for a treat from a local charity who are giving a rose to every female they meet. Glow, which stands for Giving Life Opportunities to Women, is a charity based on the Falls and Shankill interface providing personal development opportunities to women. The charity helps women from both communities by reaching out to those who are disadvantaged by encouraging and facilitating positive mental health and physical well-being, training and development in life skills and reducing isolation. On Saturday, March 28 women from the charity will be walking on the Falls and Shankill Roads handing out roses to women passing by. The group’s manager, Chara Clarke, said they’re using flower power to show the women of the area how valued they are. Glow offers women personal development programmes for confidence and self-esteem, employ-ability programmes, life coaching and team building activities. Chara said they first began as a small women’s group in 2008 but have grown and expanded to meet the needs of women in the community. “We started life as a small group of women doing things like fashion shows and pamper nights,” she said. “Women were coming who had issues with their confidence and self esteem, some of them maybe hadn’t worked since they left school and they were depressed and anxious. Glow operates primarily within West and North Belfast as it is based on the Northumberland Street interface and the two main catchment areas are the Falls Road and Shankill Road. The project addresses the issues of religious, social and cultural barriers and helps develop confidence in the women they support. Chara said taking part in personal development and life coaching programmes inspires the women with confidence to change their lives. “We have women coming in who might not have worked, who have very low self esteem and confidence and might never see themselves getting a job,” Chara continued. “By helping with their personal development and giving them confidence they can than take part in an employability programme and really get that boost to go on and work.